Register to become a Volunteer! 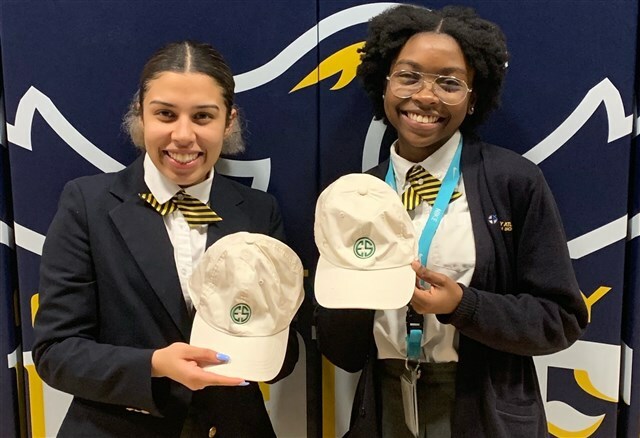 Two Cristo Rey Atlanta Jesuit students have been awarded the prestigious full housing and tuition Evans Scholarship for golf caddies. The Catholic Health Association of the United States recently featured Cristo Rey schools and their partnerships with Catholic hospitals in an article in Catholic Health World. Cristo Rey Atlanta Jesuit student, Yahaira Valles, was highlighted for her experience at Emory St. Joseph's Hospital. Click here to read the article. Check Out Our Latest Torch Newspaper Issue! Join us on May 21 for "A Holocaust Survivor's Story: Ben Walker"
Join Deacon Bill Garrett in a 12-Day Pilgrimage to Poland, Czechia, & Germany Including the Passion Play in Oberammergau!